There’s going to be a new playground in town. Recently, Mayor Thomas M. Menino announced a new 200,000 square foot artificial turf field at Roberts Playground on Dunbar Street in Dorchester, according to the Official Website of the City of Boston. This field is going to offer residents play on football, soccer, baseball, softball and cricket teams. To emphasize safety in this area, officials will also be installing new sports lighting with LED security lights, new benches, new fencing and new bleachers than can seat 400 people. It will also come with a new scoreboard, new backstops and a new perimeter walkway. This is going to a $3 million improvement project. Our Boston child injury attorneys understand that there are about 30 million children and teens who participate in some form of organized sports each and every year. With all of this participation, we see close to 4 million related injuries annually. The most common of these injuries are strains and sprains. Among the most serious are brain injuries — which serve as the leading cause of sports-related death in children. A lot of these injuries happen as a result of falls, being struck by an object, collisions and overexertion during informal of unorganized sports activities. More than half of these injuries happen during practice. When all is said and done, about 20 percent of those participating in these sports are injured each year, and about a fourth of those injuries are considered serious, according to the Boston Children’s Hospital. With the $3 million, officials will be replacing natural grass with artificial turn and will be updating some outdated features. They plan on improving the drainage at the park to allow quicker return to team play following rainstorms. Because of the size of the facility, two areas can be used for play at the same time. About a third of all childhood injuries are sports related. About 2 out of 5 traumatic brain injuries among children are associated with participation in sports and recreational activities. The highest rates in which these injuries occur happen in sports that involve more contact and collisions. Children between the ages of 5 and 14 account for close to half (or about 775,000) of all sports-related injuries that are treated in emergency rooms across the nation. Most commonly (among boys), these injuries happen in ice hockey, rugby and soccer. Most commonly for young females happen in gymnastics, basketball and soccer. Some parents may be worried about the new AstroTurf being installed in the area. Usually constructed of polyethylene plastic grass and an in-fill base of “crumb rubber” from ground-up recycled tires (as many as 10,000 in a single field), this material has become increasingly popular in communities across the country. 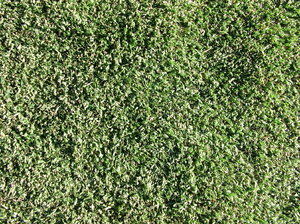 Once a community goes with artificial turf, it has no choice but to install another artificial turf field when the first one needs to be replaced because once plastic replaces natural grass, it kills any living organism in the subsoil making it impossible without years of soil remediation to grow anything on that surface. Before heading out to the field, make sure your child has all of the protective equipment necessary to lessen the risks for an impact-related injury. It’s also a good idea to make sure that they’re properly fitted with clothing to protect them from the hazards of the AstroTurf. Get out there and play, but play with safety as your team captain.